Come with me, gentle reader, to a little corner of England I bet most of you have only ever gazed at wearily from the window of a car (or train) while hoping it’s not too long till Edinburgh (it’s not). Northumberland may be one of the largest counties in England, but it’s also one of the emptiest, partly because everyone is too impatient to get to next-door Scotland to stop there, and partly because the few people who do live there keep it close to their stout and farmerly chests. It’s also one of the most beautiful, and even (I’m bracing myself for getting lynched in short order by sundry broad-vowelled people as I write this) outdoes Yorkshire for the sheer volume, to say nothing of idyllic beauty, of its countryside. 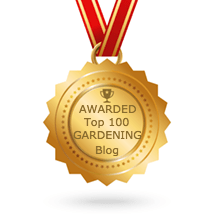 Best of all, it has some of the most inspirational gardens in England. PS the sharp-eyed among you may notice that Holy Island is conspicuous by its absence. That’s because I couldn’t see it beneath the three thousand other people crammed on there along with me. Come to think of it, maybe that’s where all the people in Northumberland had got to. Anyway, for a place that’s meant to be a haven of spiritual reflection and romantic mysticism, it had a very unholy number of chip vans and push buggies. It’s enough to make you start writing letters to the National Trust and English Heritage, both of whom should know better. Harrumph. Having lived (and courted) for 6 years in the North east, you've just made me extremely homesick.We stayed in a cottage opposite Alnwick Castle a few years back. June's the time for Holy Island – you get the place pretty much to yourself and can linger for ages in Gertrude Jekyll's tiny little cliff top garden.We also visited Alnwick Garden. I expect it's very different now as we were there before the tree house was built. Looking forward to it.Though I could have told you loads, it's just lovely discovering all that emptiness – Holy Island excepted – for yourself. I see you've been to the Farne Islands too – did you get bombarded by the terns?